If adversarial thinking like Tadge Dryja‘s was on display, its target was relegated to theoretical targets on day one of Scaling Bitcoin Saturday. 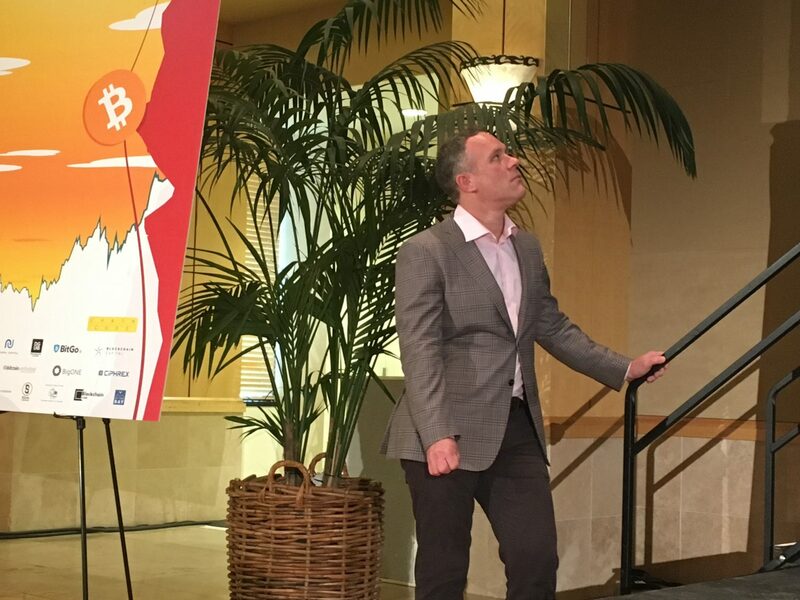 Held this year at Stanford University, the event’s fourth edition, first started to bridge bitcoin’s then-scaling crisis, saw noticeably less discussion of issues currently facing the open-source project’s roadmap. For example, despite its dominance in the media headlines, a scarce few panels addressed the concept of forks, or suggested at all that competing, bitcoin-based cryptocurrencies may be able to outpace bitcoin in terms of technology or user adoption. Indeed the absence was noted by attendees, who framed the conversations as positive and optimistic on the future of the project as recent attempts at such efforts have largely failed. In fact, the most prominent reference to the controversial Segwit2x software, set to be introduced to the network in weeks, came from Bobby Lee, CEO of bitcoin startup BTCC and a proposal supporter, who told the audience he would not answer questions on the subject. Rather, Lee focused his stage time on a crowd-pleasing talk heavy on typically safe subject matters – namely, bitcoin’s advancement in the face of governments and the asset’s rising price, both of which glossed over the widely differing views on the effort. 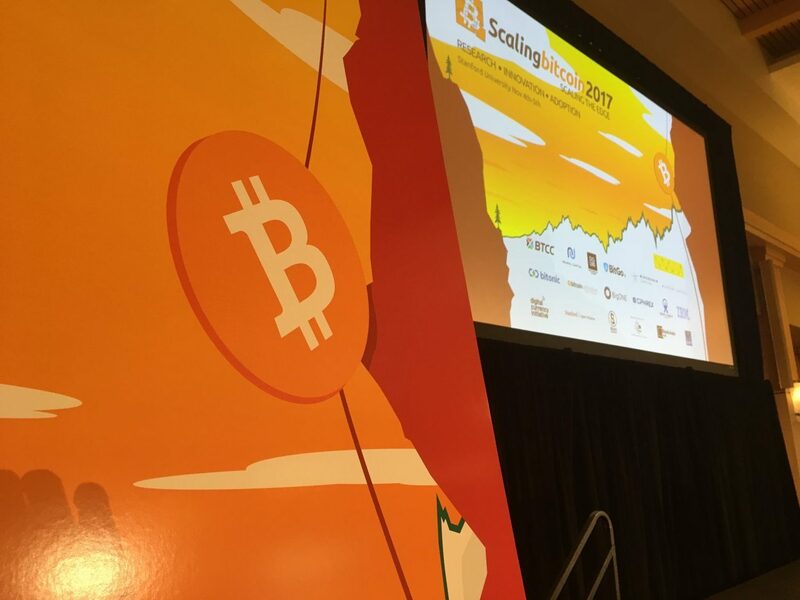 In this way, this year’s edition of Scaling Bitcoin was perhaps distinguished by the lack of immediacy under which the talks were given – with the SegWit code change enacted in August, there appeared a silent consensus that short-term pressures have been relieved. This indifference was present as the ways in which the more theoretical changes would or could be introduced to the network appeared secondary to results that simply hinted at the current state of science on the subject. 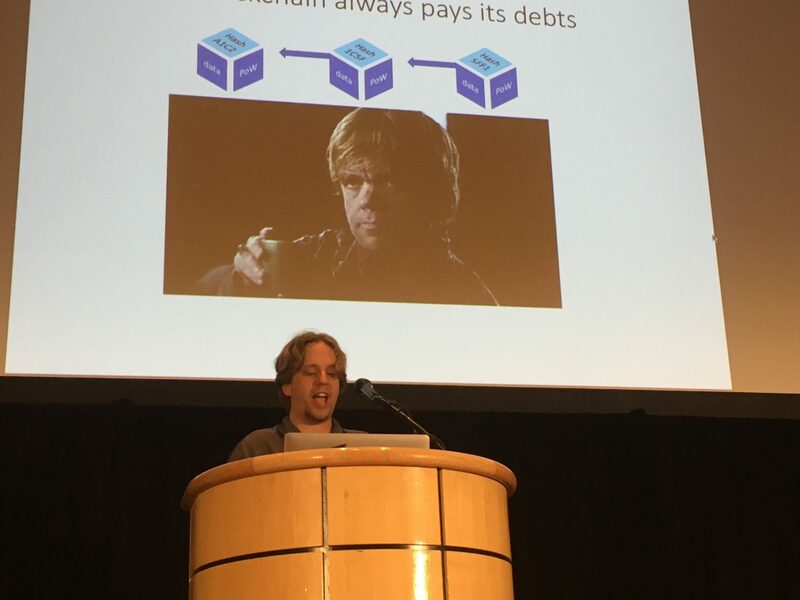 In one talk, John Hopkins University’s Ian Miers presented BOLT, an anonymous payments channels design that aimed to speculate on how payments channels, or the top-level networks now possible with the introduction of SegWit’s code, could have more discrete intermediaries. Miers noted, however, that bitcoin’s rules would need to change to accommodate the proposal, though he displayed a disdain for the more political specifics. “Whether this is a hard fork or soft fork, I’ve long since stopped paying attention to that discussion,” he told the audience. As scheduled, payment channels were one of the more visible topics of the day, with three sessions focusing on how these proposed layers could become more private. Leading off was Purdue University’s Pedro Moreno-Sanchez, who gave an overview of current designs for the Lightning Network, the most mature version of payment channels for the bitcoin network, and one that while now possible faces implementation challenges. Lightning Network payments by design only settle to the blockchain and therefore have a different proposed design structure than the network itself. And that’s why researchers fear what might happen when the hub-and-spoke network is finally launched, with peers colluding to identify and defraud users who seek to engage in the new kinds of relationships afforded by the design. “It’s not clear what this channel will look like. If all of the peers on the path collude, they can identify you. Even worse is you end up in this setting whether everything is centralized; you don’t have to worry about collusion,” Miers said explaining the current challenges. To help deter these outcomes, Moreno-Sanchez and Miers’ talks focused on zero-knowledge techniques, an older cryptographic concept that seeks to allow parties to verify information is accurate without exchanging sensitive data. Moreno Sanchez’s work, conducted with four other Purdue researchers, presented two implementations of payment channels based on a new type of smart contract, while Miers’ was an iteration of work first introduced in 2016, now more relevant given that the Lightning Network is closer to launch. Elsewhere, Lightning white paper author Tadge Dryja gave a talk on Discreet Log Contracts, work that hints at how so-called oracles, or third-party data providers, could operate within Lightning Networks, settling conditional payments between users such as might be wanted for insurance payments or casual betting. All focused, however, on the exchange of information between parties, and the optimal conditions under which interactions would occur to maintain beneficial properties of bitcoin transactions conducted on the more transparent bitcoin blockchain. In contrast to past years, the event also proved open to the discussion of topics that may have proven taboo – a decision that appears to have led some conference organizers and former supporters to boycott the conference this year. (Notably not present were many developers from Bitcoin Core, the software’s most widely used client). For example, Peter Rizun and Andrew Stone, developers most known for their work on the alternative bitcoin software Bitcoin Unlimited presented research supportive of the idea that bitcoin could or should be reimagined to feature larger blocks to enable payments. However, minus a terse question-and-answer session, Rizun and Stone’s talk received a warmer welcome than it has in the past. In Milan, for instance, the developers went so far as to stage a local offshoot event to present their work. And while the developers didn’t step back from their assertion that the limitation of bitcoin’s block size and transaction fees are negative, they did better fit their ideas to the format. In this case, the developers presented data on the rate at which transactions can be accepted into bitcoin’s mempool, in this way evolving their past work on block propagation, or how the network might pass larger blocks between peers. Rizun and Stone’s work appeared open-minded in light of past criticisms that have presented larger block proposals as ones that would perhaps weaken bitcoin’s network of nodes, or the computer clients that store full copies of the bitcoin blockchain. Also of note was the inclusion of talks on bitcoin’s proof-of-work consensus protocol, the aspect of the technology of most relevance to the cryptocurrency’s mining industry. However, here, too, the conference showed signs of past divisions, with relatively little participation from miners this year, including only one – BTCC – that plays a decision-making role in whether the protocol upgrades its software. 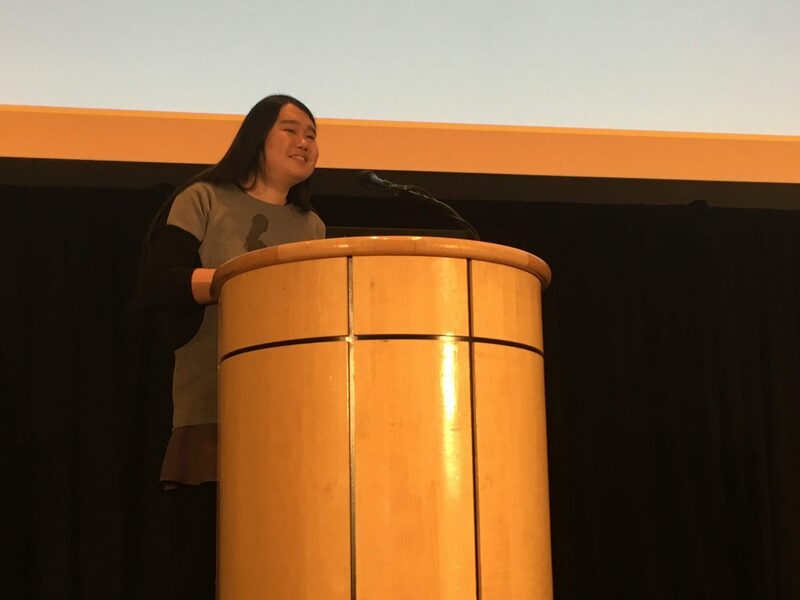 Elsewhere, Min Chen, CTO at bitcoin mining chip manufacturer Canaan, continued the company’s more recent positive public relations push with a talk that positioned the company as open-minded to alternatives to proof-of-work, notably given the anger in the technical community over the actions of miners in the past. Chen’s talk came off as well-intentioned if light on specifics about how the company would push the network toward this goal. Still, it’s perhaps best to consider the talks as a showcase of a different perspective, as Chen pushed back on the idea that miners should be always thought of as attackers, as opposed to network participants that provide a useful resource. For example, Chen discussed how blockchain protocols have often sought to limit the abilities of miners, rather than thinking about how they could assist in problems facing the network. “Protocols should be quantum-friendly not quantum resistant. If quantum computer can bring 1,000 times efficiency to your system it will reduce average costs,” Chen said, at least appealing to the idea that in the nascent field of crypto-economics, the role of incentives is paramount. Disclosure: CoinDesk is a subsidiary of Digital Currency Group, which helped organize the Segwit2x agreement. DCG has an ownership stake in BTCC.